The European Convention for Constructional Steelwork is the only organization in the field of steel construction on a European level. The members of the ECCS are the national steel construction associations of 18 European countries. 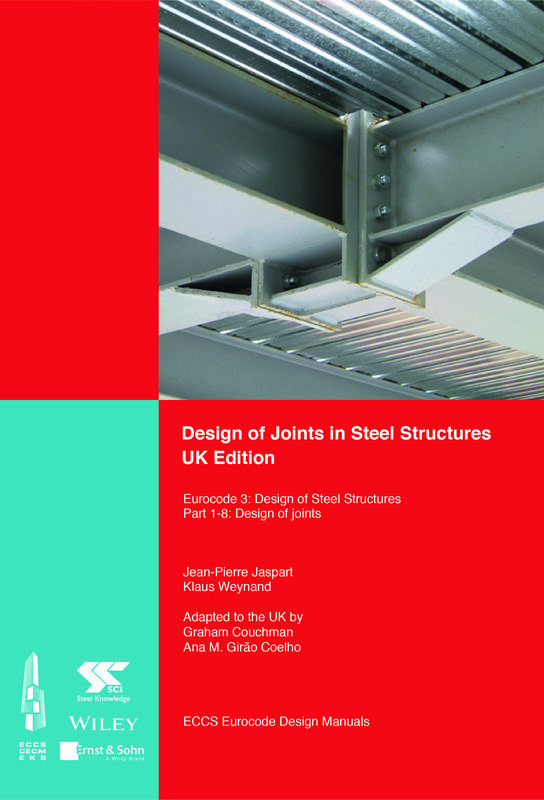 This book details the basic concepts and the design rules included in Eurocode 3 "Design of steel structures" Part 1-8 "Design of joints". Joints in composite construction are also addressed through references to Eurocode 4 "Design of composite steel and concrete structures" Part 1-1 "General rules and rules for buildings". Moreover, the relevant UK National Annexes are also taken into account. Eurocode 3: Design of steel structures. Part 1-1: General rules and rules for buildings. EC1: Actions on structures. Part 1-2: Actions on str. exposed to fire. EC3: Design of steel structures. Part 1-2: Structural fire design.